Metal screened power cores and three separate pilot conductors. 1.1/1.1 kV to 11/11 kV. 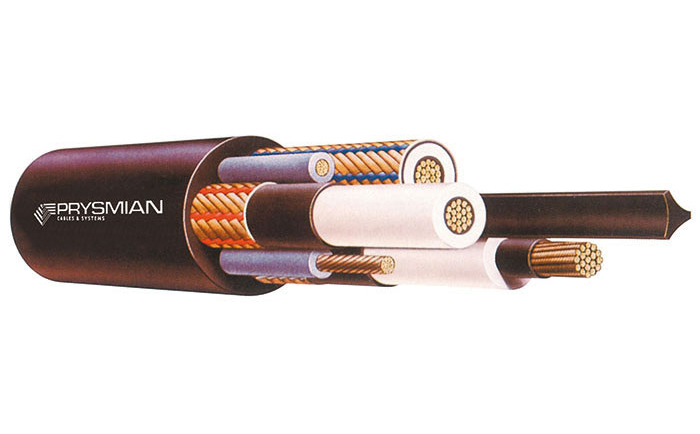 Cable used extensively for feeder connection between transformer and gate-end box or similar, or as continuous miner cable or feeder cables to pumps. Having three pilots, the cable can be used in long runs, without compromising pilot control protection system resistance limitations.